For the past twenty years or so, Swiss tennis has risen to new heights both in Individual competitions and Team level competitions mainly due to the contributions of 3 great players. But what does the future hold for Swiss tennis? With not a single player aged 21 or under in the ATP Top 200, prospects do look bleak. Swiss athletes have combined for a total of 28 Grand Slam Singles titles. In Team competitions, Switzerland have won the Fed Cup once in 1998, the Hopman Cup thrice in 1992, 2001 and 2018. In the Davis Cup, Switzerland have won the 113-year-old competition once in 2014 and finished runner-up in 1992. Marc Rosset entered the tennis circuit in 1988 and was a professional on the ATP Tour for 17 long years. 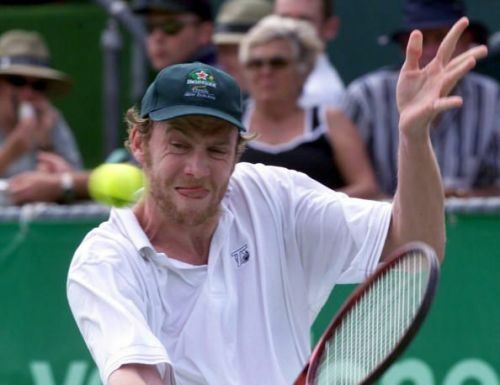 The 6 ft 7 in Rosset won 15 Singles titles and reached a career-high ranking of World Number 9 in 1995. His best Grand Slam performance came at the French Open of 1996 where he made the semi-finals. However, he lost to 15th seed Michael Stich. His crowning achievement came at the Barcelona Olympic Games of 1992 where he won the Singles Gold Medal beating Spaniard Jordi Arresse 8-6 in the fifth set. In the run-up to the final, he beat numerous Grand Slam title holders and top players like Jim Courier, Goran Ivanisevic, Emilio Sanchez and Wayne Ferreira. In Doubles, he won 8 titles including the French Open in 1992 with compatriot Jakob Hlasek. He was also a member of the Swiss Davis Cup Team which finished runner-up to the United States of America. Despite Switzerland's loss, Marc registered a 5-set singles rubber against then World Number 1 Jim Courier.